Pre-Hispanic Amerindian civilizations, Reformation and Renaissance Spain, the Catholic church and present-day global trends have all contributed strongly to Mexican culture. As is the case in many western hemisphere countries, Mexico’s culture is still developing. 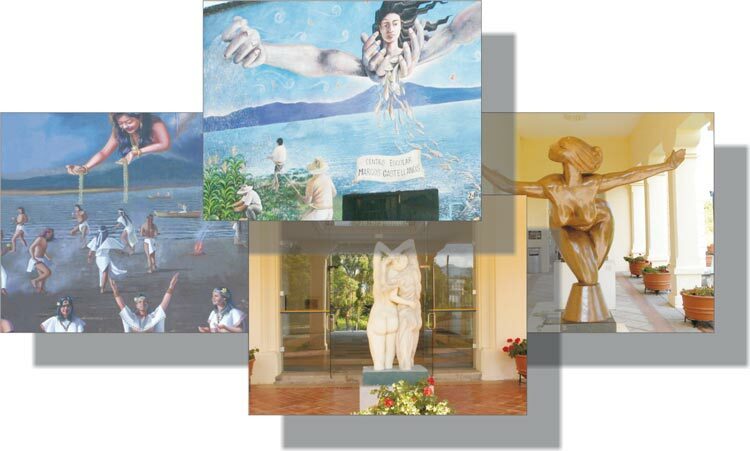 Over the past 125 years, however, the country has stamped its identity on many facets of culture. Former President Porfirio Diaz, although considered to be less-than-ideal as a politician and statesman, is nonetheless credited with initiating a cultural identity in Mexico. “El Porfiriato”, as his two separate presidencies were known (the last quarter of the 19th century and first decade of the 20th), was a period of peace and prosperity in which philosophy and the arts were encouraged and flourished. As an ethnically diverse country in which, for the most part, the only connecting element amongst the inhabitants was Catholicism, Mexicans recognized and accepted that their cultural identity had its base in the “mestizaje”, the mixed race population that by 1900 had a three century history. Author Jose Vasconcelos attempted to describe this foundation in his 1925 book, La Raza Cosmica (The Cosmic Race), and thus placed Mexico on a similar footing with its northern neighbors as a “melting pot” society. The difference being that Mexico strongly supported the inclusion of its native population as the root of its cultural identity, rather than a mixture and offshoot of a pot pourri of European identities. One of the key figures in the artistic revolution which more or less coincided in time with the country's political revolution was Dr. Atl, born in Guadalajara in 1875. After studying locally and then briefly in the Fine Arts Academy of Mexico City, Atl went to Europe where he was influenced by the impressionist and Post-impressionist movements. 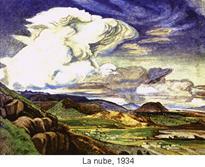 He returned to Guadalajara in 1903 convinced that Mexican art needed a revolution. Though he had successful exhibitions in Guadalajara, he felt the city was too conservative for his style and he moved on to Mexico City where he painted the first modern mural in Mexico. Atl's contribution to the Mexican art revolution was considerable: he was an artist and a patron of the arts; he taught or mentored many of the major artists of the next generation including Clausell, Galvan, Orozco, Rivera, Siqueiros, and Zaraga; he established a new style for landscapes, and then a second new “aerial” style; he also invented his own paint, Atlcolor, which is still manufactured today. His murals have not survived, but Atl's most famous work is the Tiffany-made glass curtain in the Bellas Artes opera house in Mexico City. Atl died in 1964 at 89. 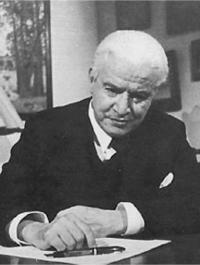 A contemporary of Atl’s, who has been described as Mexico’s premier composer, was Manuel Ponce. Ponce did for music what Atl achieved in the visual arts. A native of Fresnillo and Aguascalientes, Ponce was born in 1886 and began his career as a pianist at 4. He studied at the National Conservatory of Music in Mexico City, then at the School of Bologna, then at the Stern Conservatory in Berlin. He returned home to teach at the National Conservatory, and produced a vast array of compositions for individual instruments and orchestras. He is credited with composing the majority of the works of Andres Segovia, the classical guitarist. Ponce integrated themes and melodies from Mexican native music into classical compositions and was called the Creator of the Modern Mexican Song. He received the National Science and Arts Prize in 1947. When Ponce died in 1948, his music was being played all around the world. Many of Mexico’s finest artists were born during “El Porfiriato”, but didn’t produce their outstanding works until after the 1910 revolution. 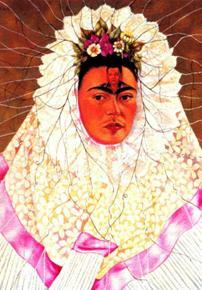 That era in Mexico was the defining period for Mexican art. Artists such as Frida Kahlo, Diego Rivera, José Clemente Orozco, Maria Izquierdo, David Alfaro Siqueiros and Juan O'Gorman were instrumental in putting Mexican art on the international map. 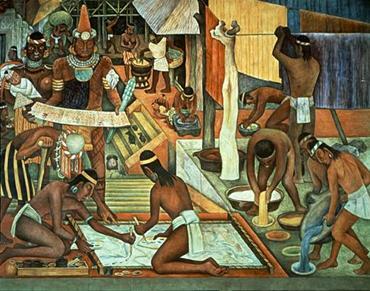 Muralism became a major art form not only in Mexico, but in Europe and the U.S. as well. Some of the finest murals by these artists are displayed in San Francisco, New York and Detroit as well as across Mexico. Music has a strong foothold in Mexican society. There is a vast array of music genres that demonstrate the diversity of Mexican culture. 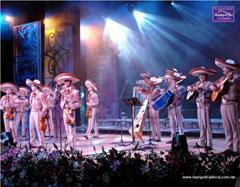 Traditional music includes Mariachi, Banda, Norteño, Ranchera and Corridos. Many Mexicans, especially teenagers, listen to contemporary pop, rock, heavy metal and rap in both English and Spanish. Mexico has the largest media industry in Latin America, producing Mexican artists who are famous in Central and South America and parts of Europe, especially Spain. Classical music composers of Mexico include Manuel María Ponce, Mario Lavista, Silvestre Revueltas, Arturo Marquez, and Juventino Rosas, many of whom incorporated traditional elements into their music. Most states, through their Ministry of Culture or Education, sponsor a Symphony Orchestra or Philharmonica Orchestra so people can enjoy classical music. One of the most prolific operatic tenors of modern times, Placido Domingo, was raised in Mexico and studied at the Conservatory of Music in Mexico City. Though born in Madrid, Domingo moved with his family to Mexico at the age of 8, and studied music and began his career in his adopted country. 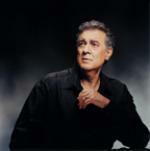 Domingo has sung at the Metropolitan Opera in New York City for 40 consecutive seasons. He has performed 124 roles around the world in the course of his illustrious career. Nobel Prize winner Octavio Paz, Carlos Fuentes, Juan Rulfo, Elena Poniatowska, and José Emilio Pacheco, are some of the most recognized authors of Mexican literature. These and other artists are not shy about describing their perceptions of their country and their fellow citizens. To obtain a real feel for the culture and traditions of Mexico, read its novelists and poets, and view the work of screenwriters such as Guillermo Arriaga (2005 Cannes Festival Award for Best Screenplay for The Three Burials of Melquiades Estrada). From the baroque styles of massive cathedrals to the functionalism of modern houses and public buildings, architecture in Mexico runs the gamut of styles and trends. European influences dominated early construction of churches and public buildings during the Spanish era, but the impact of climate and local weather forced amalgamation with native materials and traditions. Brick construction, high ceilings and covered terraces are all designed to keep the heat of the sun away from living areas, and maintain air-condition-free cool interior temperatures. The 1940s and 1950s were the Golden Age for Mexican films. Some of the greatest examples of Latin American cinema came from this era. The film industry in Mexico was comparable to the Hollywood of those years. Mexican films were exported and exhibited in all of Latin America and Europe. Maria Candelaria (1944) by Emilio Fernández, was one of the first films awarded a Palme d'Or at the Cannes Film Festival in 1946. Famous actors and actresses from this period include María Félix, Pedro Infante, Dolores del Río, Jorge Negrete and the comedian Cantinflas. More recently, films such as Como agua para chocolate (1992), Cronos (1993), Amores perros (2000), Y Tu Mamá También (2001), El Crimen del Padre Amaro (2002), Pan's Labyrinth (2006) and Babel (2006) have been successful in creating universal stories about contemporary subjects, and were internationally recognised. Mexican directors Alejandro González Iñárritu (Amores Perros, Babel), Alfonso Cuarón (Children of Men, Harry Potter and the Prisoner of Azkaban), Guillermo del Toro, Carlos Carrera (The Crime of Father Amaro), and screenwriter Guillermo Arriaga are some of the most well-known present-day film makers. Two of the major television networks based in Mexico are Televisa and TV Azteca. Televisa is also the largest producer of Spanish-language content in the world and the world's largest Spanish-language media network. Grupo Multimedios is another media conglomerate with Spanish-language broadcasting in Mexico, Spain, and the United States. Soap operas (telenovelas) are translated to many languages and seen all over the world with renowned names like Verónica Castro, Lucía Méndez, Lucero, and Thalía. Some Mexican TV shows are modeled after counterparts from the U.S. Nationwide news shows like Las Noticias por Adela on Televisa resemble a hybrid between Donahue and Nightline. Local news shows are similar in format to Eyewitness News and Action News. Border cities receive television and radio stations from the U.S. Satellite and cable subscription is common for the middle- and upper-classes in major cities, who often watch movies and TV shows from the U.S.
Mexican cuisine is known for its intense and varied flavors, colorful decoration, and variety of spices. Most of today's Mexican food is based on pre-hispanic traditions, combined with culinary trends introduced by Spanish colonists. The conquistadores eventually combined their imported diet of rice, beef, pork, chicken, wine, garlic and onions with the native pre-Columbian food, including maize, tomato, vanilla, avocado, papaya, pineapple, chili pepper, beans, squash, limes, sweet potato, peanut and turkey. Want to try something different during your visit? For breakfast, have a plate of chilaquiles con pollo with a red or green salsa instead of bacon and eggs. At lunch have a bowl of Azteca soup (also called tortilla soup); and if that doesn’t fill you up, order a couple of flautas (crisp tightly rolled tortillas filled with meat or veggies) or quesadillas (cheese-filled tacos). At dinner, the possibilities are endless – arrachera steak, chiles en nogada, mole poblano. . .
Mexico City hosted the XIX Olympic Games in 1968, making it the only Latin American city to do so. The country has also hosted the FIFA World Cup twice, in 1970 and 1986. 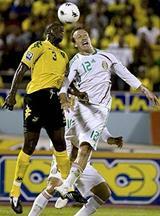 In 2011, from October 13 – 30, Guadalajara will host the Pan American Games. By far the most popular sport in Mexico is soccer. In between local games, leagues from England, Italy, Germany, Spain, Argentina and even the United States have their games telecast in Mexico. If there is a football game being played anywhere in the world at this moment, it is probably being telecast in Mexico. It is commonly believed that football was introduced into Mexico by Cornish miners at the end of the 19th century. By 1902 a five-team league was established. A national team was organized in 1922 and its first international match was played Jan. 1, 1923. Football became a professional sport in 1943. Mexico’s biggest stadiums are Estadio Azteca (capacity of 114,000) and Estadio Olímpico Universitario in Mexico City and Estadio Jalisco in Guadalajara. The national sport of Mexico is Charreada – a combination of rodeo and horsemanship. The participants must wear traditional charro clothing while performing. The charreada itself consists of a number of scoring events staged in a particular order—nine for the men and one for the women. Two or more teams, called asociaciones, compete against each other. The competitors are judged by both style and execution. Unlike rodeos, most charreadas do not award money as they are considered an amateur sport. Bullfighting, perhaps once a popular sport in the country, appears to have declined severely and very little is heard about it anymore. Plaza México in Mexico City, the largest bullring in the world, seats 55,000 people. Baseball is popular, especially in the Gulf of Mexico, Yucatan Peninsula and the Northern States. There are two Mexican professional leagues: the Liga Mexicana de Beisbol which includes teams from the eastern end of the country and whose season runs from March to July with playoffs held in August., and the Liga Mexicana del Pacífico, played in Sinaloa, Sonora and Baja California with a winter season. Some of the players in the latter league are from the major leagues. The league champion participates in the Caribbean Series, a tournament between the Champions of Winter Leagues of Mexico, Venezuela, Puerto Rico and the Dominican Republic. 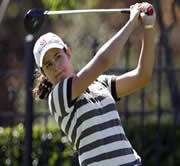 Lorena Ochoa, the world's number one woman golfer according to the LPGA is a native of Guadalajara. She hosts an LPGA event near Morelia each year, and is a three time winner of Mexico’s National Sports Award. Jalisco is the center of the Mexican Tequila industry. The first record of production in the 16th century placed the event near the location of the city of Tequila, which was not officially established until 1656. The volcanic soil covering much of the state of Jalisco is particularly well suited for the cultivation of the blue agave plant, which is the base for Tequila. The Aztec people had made a fermented beverage from a different agave plant, maguey, which they called octli (now called pulque), long before the Spanish arrived in 1521. When the Spanish conquistadors ran out of their own brandy, they began to distill this maguey drink to produce North America's first indigenous distilled spirit. The Tequila that is popular today was first mass-produced in the early 1800’s in Guadalajara. In the late 18th Century José Guadalupe Cuervo received from King Carlos IV of Spain the first official concession to market mescal wine. In 1860 Jesús Flores, a tavern owner, acquired the Cuervo factory, and became the first to bottle tequila in glass vessels. In 1873 Cenobio Sauza, former administrator of the distillery that belonged to José Gómez Cuervo and Municipal President of the Village of Tequila (from 1884-1885), was the first to export tequila to the United States. 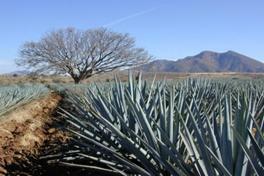 His grandson Don Javier insisted that "there cannot be Tequila where there are no agaves!" His efforts led to the practice that real Tequila could only come from defined zones in the State of Jalisco (and later from parts of 4 other states). Other beverages using agave as the base are called “mezcal”. When purchasing Tequila, make sure the bottle says “100% Agave”. 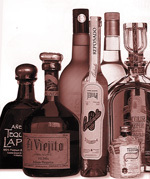 Many bottles appear to contain pure agave, but in fact are 49% cane alcohol (but still entitled to be called Tequila), or are an even higher percentage of cane alcohol (and cannot be called Tequila). Typically, the prices of these latter products are considerably lower than the 100% agave, and therefore very attractive to unaware consumers. Margarita drinkers will encounter this difference when ordering their favorite beverage – in bars it is customary to use a lesser quality liquor in a mixed drink, especially when the mix is something as strong as lime juice. That allows the bar to keep the price of its drinks down. However, patrons need to be aware that if they want a true Tequila in their Margarita, they need to ask for it and be prepared to pay extra for it. There are over 100 distilleries making over six hundred brands of tequila in Mexico. Conventional wisdom says that this music originated in Cocula, Jalisco. The word derives from the french word “mariage” (wedding), because the Mariachi music was originally played at weddings. It is now played routinely at all kinds of events, and even in restaurants and, sometimes on Sundays, in local village squares and parks. 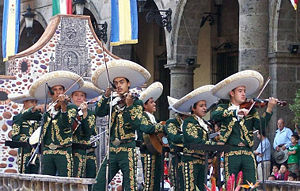 Guadalajara hosts an annual Mariachi festival in September where parades, concerts and competitions attract bands from around the world.